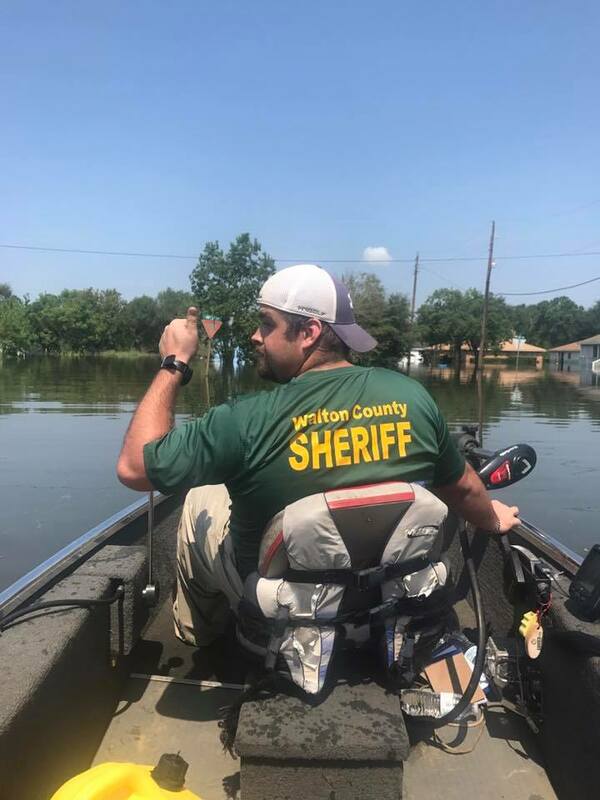 With just a small boat and some supplies Detention Deputies Michael White and Pablo Buduen left their homes and families Thursday and headed for the unknown. Determined, the two men drove through the night to reach those effected by Hurricane Harvey and offer any assistance they could. These photos show White and Buduen on the water this afternoon near Port Arthur, Texas. WCSO reached out to White to check in. He said they were “in the thick of it” and about to get back on the water to help with rescue efforts. We will keep you updated on their efforts. We are so proud of the men and women of our agency and their commitment to not only their communities, but our country.